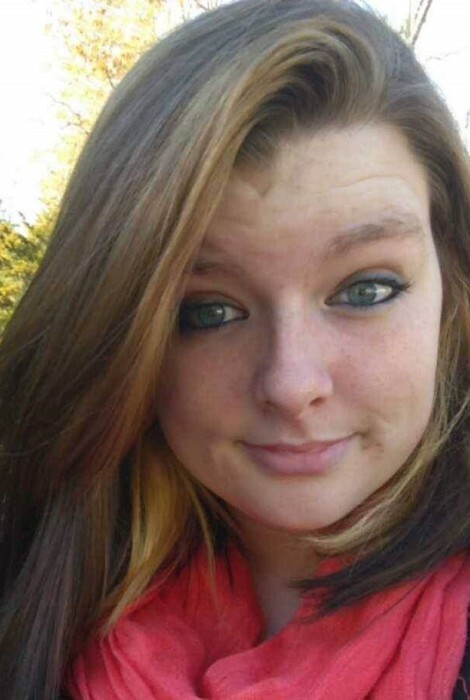 KAITLYN ANNE SHEPHERD age 24, of Roxboro, NC died Friday morning, January 25, 2019 at her home. Ms. Shepherd was born May 15, 1994 in Orange County, NC, daughter of Robin Daughrity & Mike Hatcher, and Curtis & Suzy Shepherd. She was employed with Fas Mart and was of the Baptist faith. Surviving in addition to her parents are a son, Bransyn Oliver Dunn, three sisters, Krista S. Knight (Michael), Shannan Talley, Morgane Fresco, five brothers, Michael P. Hatcher (Kristia), Steven Hatcher (Erica), Cody Hatcher, Jay Whitlow (Keeley), Justin Whitlow, grandparents, Hine & Gerre Simpson, Moses & Clara Shepherd, Kathleen Whitfield, nieces, Isabella Solomon, Kaia Hatcher, Addison Wrenn, Kaylee Hatcher, Alyssa Hatcher, nephews, Michael Knight, Jr., Jamison Hatcher, Braylon Hatcher, Abel Hatcher, aunts & uncles, Staci Daughrity, Kelly Heil (Steven), Susan & Jabbo Brandon, Denice & Chris Nelson, Darlene & Doug Dickerson, Lisa & Doug Harris, Kelli & Jason Emore, fifteen beloved cousins, and best friend, Jasmine Grant. Ms. Shepherd is preceded in death by grandparents, Bill & Christine Hatcher, Grover Whitfield, aunt, Cindy Oakley, sister, Dakota Shepherd, and cousin, Skyler Emore. Funeral services will be conducted at 12:00 p.m. Thursday, January 31, 2019 in the Strickland and Jones Funeral Services Chapel with the Pastor Mike Whitt officiating. The family will receive friends and guests Thursday, January 31, 2019 from 10:30 a.m. till 12:00 p.m. at the funeral home. Interment will follow in the Burchwood cemetery. Pallbearers will be Quentin Hall, Cody Hatcher, Michael P. Hatcher, Steven Hatcher, Steven Heil, and Michael Knight, Sr.